Moving out to a new place is one of the most daunting things to do for anyone. It’s known to be a complicated time for the entire family to leave from the place they once cherished and move to a new place. The terror of a new adjustment worries the family members for days apart from the mountain of stuff to pack. Even though many professional moving services are providing their packing and moving services, you will find some things which require to be handled weeks earlier. To lessen that concern, the following are some of the practical packing tips for your next move. Did you know that large boxes must hold the lighter materials? Meanwhile, the small boxes are used for the heavier stuff. 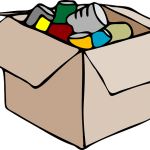 Make sure that the added number of boxes is purchased ahead of time if there are lots of stuff that should be packed. Many people panic whenever there’s no more time to run and buy extra boxes. As a result, they try to do what’s currently at hand. Often, the objects are not appropriately packed properly for traveling in a moving truck or container. That’s because of the rush and less time for the last-minute work. This is to ensure that nothing is left behind and forgotten. In case you didn’t know yet, a checklist acts as a cue on the activities which were done and those which still need to be done. With the help of your checklist, everything is prepared smoothly, begun and completed. What’s more, packing is completed in an organized and systematic fashion like working from one room to another room until everything is done. Significant records must be written on every box in a bold letter, so it’s read easily. Apart from that, subtle objects must be labeled with highly visible colored lettering “FRAGILE” for everybody to see. Doing this will ensure that the box is dealt with care which lessens the damages of the items placed inside. Plus, moving labels also covers to what room your box will be delivered to after unloading for comfort in searching and unpacking of the content. This is to guarantee that all things are in proper place and nothing is left over, particularly toiletries, slippers, shoes, pet food, and medicine which were utilized up to the planned day for moving. You need to assign a particular box for placing last minute items. That’s because those will be the ones first unpacked as soon as your family arrives at the new place. There you have it. These are only some of the basic tips to be done. When followed properly, it will make all the big tasks of packing quick, effortless and stress-free. So make sure that you follow each of them. Happy moving!